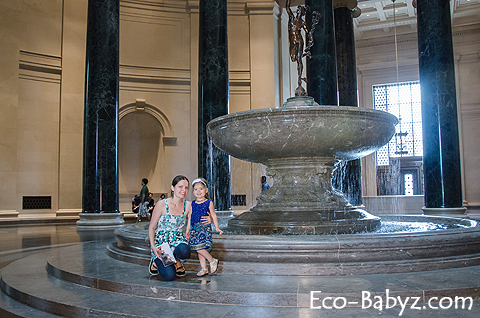 Eco-Babyz: Best Places to See With Kids in Washington D.C. Contemplating going to Washington D.C. with kids? I am by no means an expert on travel in the capital, but with experience, a lot of opinions are born! It was my fourth or fifth time there (including my trip with 8th grade eons ago), I actually lost count. We only had three days to see the capital with a 3 year old and 6 month old. If you are venturing out with young ones like us, kudos! It's not easy, but fun. With older kids, D.C. is a gold mine, an amazing place to be. 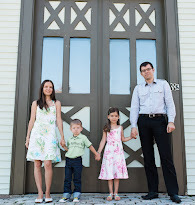 Homeschooling? It's a must, and not just 3 days. So much history, architecture, science, art, basically all subjects you can dream of in one place packed with adventure. Hopefully we will be coming back here with older, school age kids. Below are my recommendations for what is best to see with kids (all ages), especially if it is a short trip. We haven't been everywhere, so I'm sure we missed something cool - that's where you come in! Please let us know in the comments what other places you recommend so that our readers can all benefit from your experience as well. This is something I wish I found before our trip, I searched the web for D.C. travel tips with kids and couldn't find much! 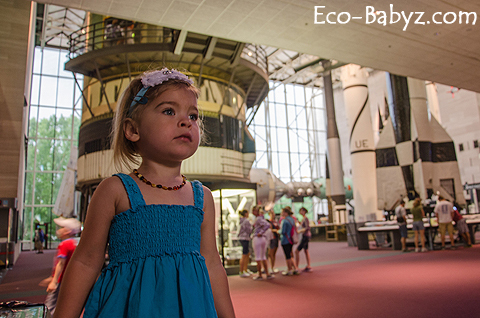 Boys and girls alike will be enthusiastic about the National Air and Space Museum - no matter what age. All the life-size flying machines are really neat to see in person. Of course, little ones love to touch - not just look, and there is plenty of that here. They can get inside a Cessna, a spaceship, and a Boeing, to name a few. You don't have to be a kid to like it, my husband and I were pretty impressed as well! Are you thinking "Why in the world is an art museum a good place to be with kids?!" Okay, so it may not be the place for all kids, but many will like it. If you have four boys under 10 years old, I don't recommend it. You can't touch things. You'll be pretty embarrassed when they reach for the breast on a female statue and the curator yells at you. It's good with kids confined to baby carriers or strollers, and well behaved little girls (and boys) that understand what "Don't touch!" means. I visited literally dozens of galleries and museum with my mother as a child, it was one of my favorite things! Want a good laugh? Ask your child to tell you what they see and interpret a painting, it's hilarious the things they come up with! Be sure not to miss the magical underground tunnel to the East Wing! Every kid loves animals and this is a place to get close to them without getting your head bitten off! Sure, you can go to the National Zoo for free as well, we would have if we had more time in D.C. But we can also go to the zoo near Boston any day. 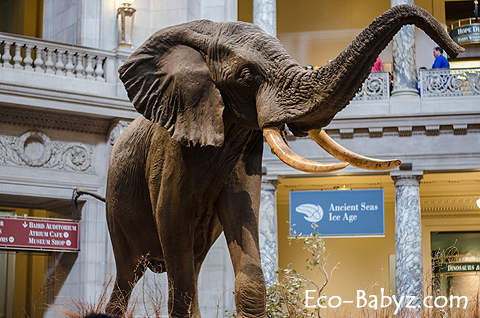 The National Museum of Natural History was a favorite with Baby E, there is a lot to see in addition to the animals - like The Hope Diamond and Gems and Minerals Gallery. The butterfly pavilion wasn't free, so we skipped it. There are plenty of insects to see as well at the Insect Zoo. They also have a nice cafeteria that serves local and organic food! So this isn't really a place, it's an experience - one that's truly worth it. If you only have a couple of days to see D.C, open top sightseeing is the way to do it. Kids will love riding the bus, especially on the top. The first level is great for really hot days as it has AC. 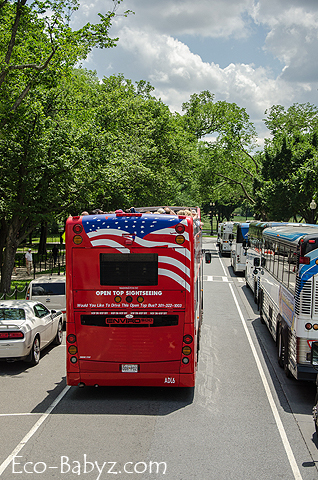 You can get off at any monument or attraction and get back on any time on another bus, perfect for keeping kids from wining because there is so much walking to do in D.C.! Hint: We got discounted tickets by signing up (free) with Goldstar, totally worth it. Where did you go with your kids in Washington D.C.? If you haven't been yet, what would you want to see most? I love Washington D.C. so it is nice to have some ideas of where to take children! We want to take our boys to DC soon, and your post showed me it is a fun adventure with little ones. Enjoy your trip and thanks for the comment!